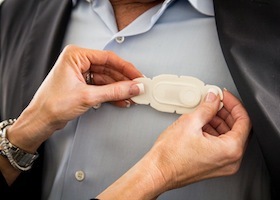 E3’s Executive Monitoring Service can track, combine, analyze and synchronize bio data streams using body sensors that gather information about user’s stress level, heart rate, respiration rate, and activity level. In addition, this technology can send the data to the cloud and be reviewed on your Android and iPhone. 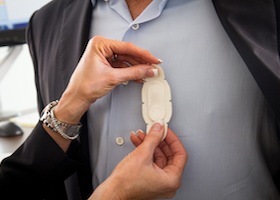 Upon hearing about Dr. Eric Topol’s industry breaking health technologies, E3 Consulting Corporation gained inspiration to develop a similar stress mapping software. Dr. Topol uses iPhone apps to track patients’ health and diagnose patients accordingly (see 5:27). Similarly, we use a monitoring device and body sensors to gather data about our client’s stress levels, and through data sharing technologies, the results can then be viewed on the most popular mobile devices. These advances in technology make it easier to monitor one’s health in real time and track changes in our health on a day-to-day basis.